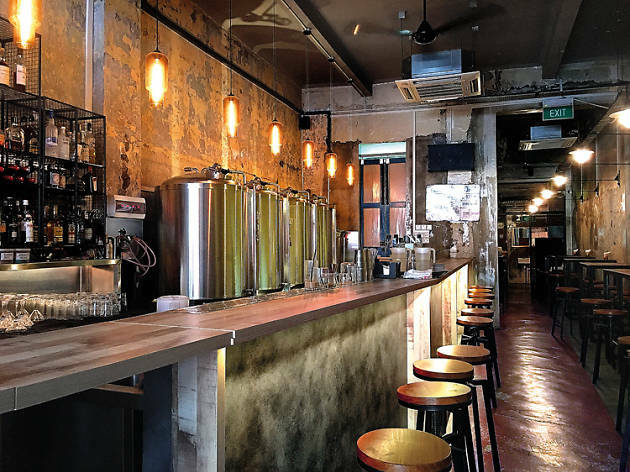 Four vats dominate this industrial-cool shophouse space – there’s a second storey you can book out for parties – that opened in 2014. It can get shoulder-to-shoulder tight, so either come early or make a reservation. 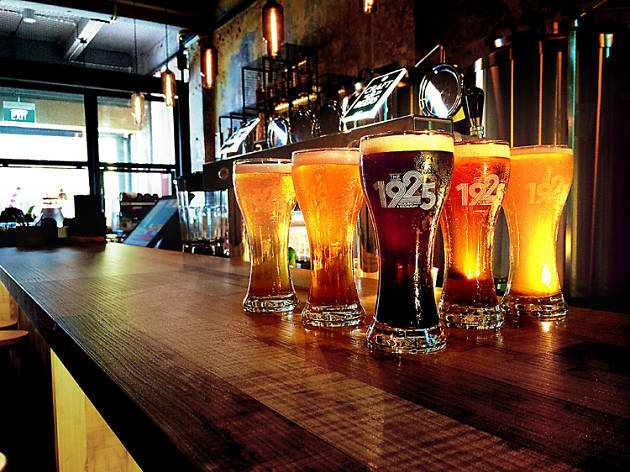 Four proprietary microbrews ($7/half-pint, $15/pint) are on constant rotation: The Blk 6.22, a dark ale and our favourite of the lot; The Yellow Van, a pale ale; The Manuka Stout, a honeyed stout; Small Monster, an IPA; and The General, which isn’t so much a beer as it is a ginger-flavoured shandy. 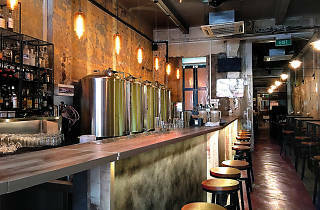 Besides those, the bar also has craft beer the likes of Fresh Squeezed IPA, Fourpure Pale Ale and Hitachino Nest Pale Ale on tap. 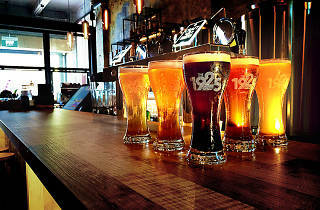 The menu checks all the café-standard boxes: burgers, pizzas, pastas and grilled meats. Our smoked duck pizza ($18) has a thin crust halfway between Timbre’s and Skinny Pizza’s, while our pulled pork burger ($18) is a decent, juicy effort that you’ll probably end up scarfing down anyway, like we did.